As the vibrant meeting point of the Middle East and Europe, Istanbul is culturally rich and has a throbbing, vibrant energy. The city sits astride the Bosphorus Strait, the epicentre of market and family life in Istanbul for a millennium. There’s a sense that over time Istanbul crumbles, and is reborn again as a metropolis more vividly beautiful than before. If you know where to look, Turkey holidays can be gastronomic adventures, so here are some of the enduring culinary treasures of Istanbul, and details of trendy new eateries where you can find them. If you try out your culinary vocabulary with some of these traditional dishes you will have one of the best holidays. Iskembe: This local hangover cure will put the strength back onto your innards after a big night out. It’s a thick soup made with mutton stomach lining. It may not sound tempting but it’s a flavoursome dish. Sherbet: This isn’t a sweet or dessert; it’s a viscous, complex drink that’s a terrific antidote to a balmy Turkish afternoon. 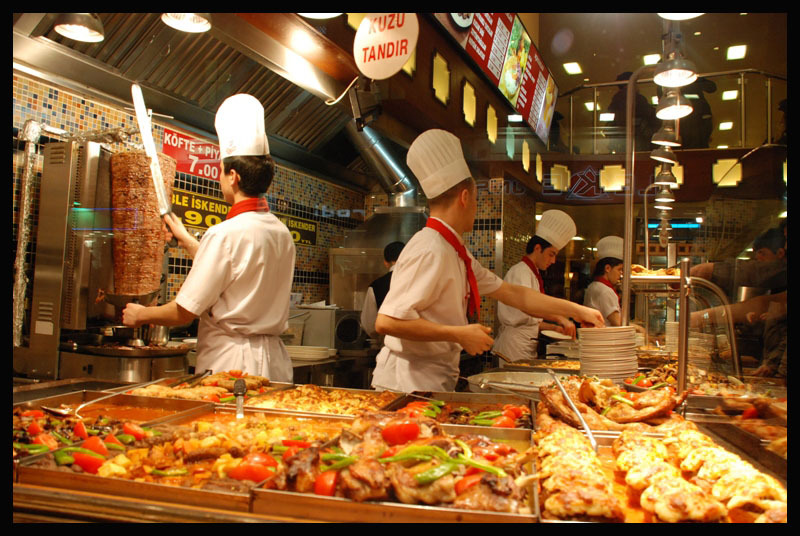 Kebabs: A trip to Istanbul isn’t complete without trying a chicken, beef or mutton kebab that’s made in the traditional way. The original version will blow your mind compared to the trite imitations back home. Mezze: This one may also sound familiar. Mezze has crossed the Mediterranean and become a part of Turkish legend. This simple appetizer dish consists of large numbers of savoury side dishes like cheeses and cured meats. Kofte: Mixed minced meat is blended with eggs and Turkish spices. It’s a great bite-sized snack that can be eaten on the run, or combined with other dishes on a mezze plate. There’s nothing like an aperitif to start the evening. In Istanbul there are plenty of impressive bars to choose from. Head to the Eresin Hotel on Kucuk Ayasofya. An arresting view over the sea or Marmara awaits, where you can watch the kaleidoscope of sunset colours glide away into night. Traditional raki cocktails start at £5 each. If you’re planning on a brief brunch, or a meandering and sleepy affair, then try a mezze plate at Balikci Sabahattin. Mountains of sumptuous octopus and marinated sea bass are provided in a crumbling private garden. Named after one of the Bosphorus’ inquisitive birds, the Karabatak is a thriving cafe that’s popular with locals. It’s unassuming, and the menu even more so, but it’s quiet and has terrific Viennese coffee and free wifi upstairs. A tractor has been repurposed into a bar and the kitschy décor feels homely. Unter is a cafe and bar that opened in October 2012. By word of mouth its reputation spread like wildfire among the bright young things of Istanbul. It serves mouth-wateringly good Turkish, Italian and American food; in earthy and fresh combinations such as mini burgers and pulled pork, lasagne and grilled octopus. Open until the early hours, it hosts parties and private events that are the hottest tickets in town. Istanbul, in general, has a host of interesting places to see and activities to partake in. It is not outside the realm of possibility to plan a trip to the area, either. In fact, it only takes a few minutes to go online and schedule a flight. You can even book a hotel in the same sitting. 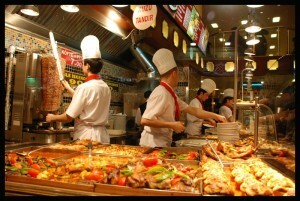 Don’t hesitate to check out what Istanbul has to offer for its visitors. The comfortable Mediterranean climate and numerous landmarks such as the Hippodrome of Constantinople are just some of many wonderful things that Turkey’s largest city has to offer. Turkey’s largest city has to offer. Plus, whether you’re after a long weekend itinerary or a lazy romantic getaway, there’s plenty of Turkish cuisine that will tantalise your taste buds and fire your imagination.